Debbie Georgianni, M.A. is a writer, inspirational speaker and certified health/wellness coach. She dedicated 25 years to Catechetical Ministry in the Diocese of Phoenix working with all age groups. Debbie spent 5 years in Community Relations and as an Announcer for Immaculate Heart Radio. Debbie co-hosts with Jerry Usher, Take 2, a live weekday radio show on the EWTN Global Catholic Radio Network. This interactive, fast paced show takes a fresh look at life from a whole new approach. 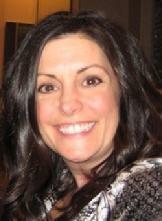 Debbie is also the Director of Marketing and Business Development for Third Millennium Media. Her lifelong passion has always been to assist people in nurturing their mind, body and spirit so that a healthy balance will lead towards a blessed life. Debbie has two grown sons and a beautiful daughter in law. She looks forward to the day when grandchildren arrive but for now Debbie and her husband Marty enjoy life with family, friends, and a great game of golf! Debbie has a passion for our Catholic faith and a deep commitment to spreading that faith using the media to its greatest potential. Debbie is a professional in every sense of the word. Blessed with a "speaking" voice that makes one want to drop everything to listen to her message; a voice that is totally sincere and uplifting. As a member of Arizona East Valley Pro-Life Alliance, Debbie has elevated our life-affirming work...through her expertise and energy. Debbie's zeal for speaking the truth is only exceeded by her zeal for her Catholic faith. ~Virginia Perron, Vice President, Arizona East Valley Pro-Life Alliance, Inc.
Debbie Georgianni is available to speak at your conference, retreat, school or parish. Contact Nic Scott at nic@yourcatholicmedia.com or visit www.thirdmillenniummedia.com.